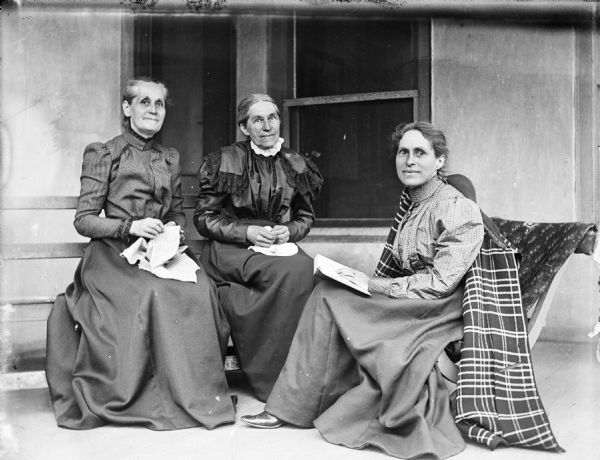 Outdoor family portrait of Mary Turvill McConnell, Elizabeth Turvill Wood, and Jessie Turvill Thwaites. They are sitting on a porch in front of windows with either hand sewing or a book in their laps. Jessie Thwaites has a coat draped over her right shoulder.